An all-day event is in the top box; a scheduled event appears at the scheduled time. 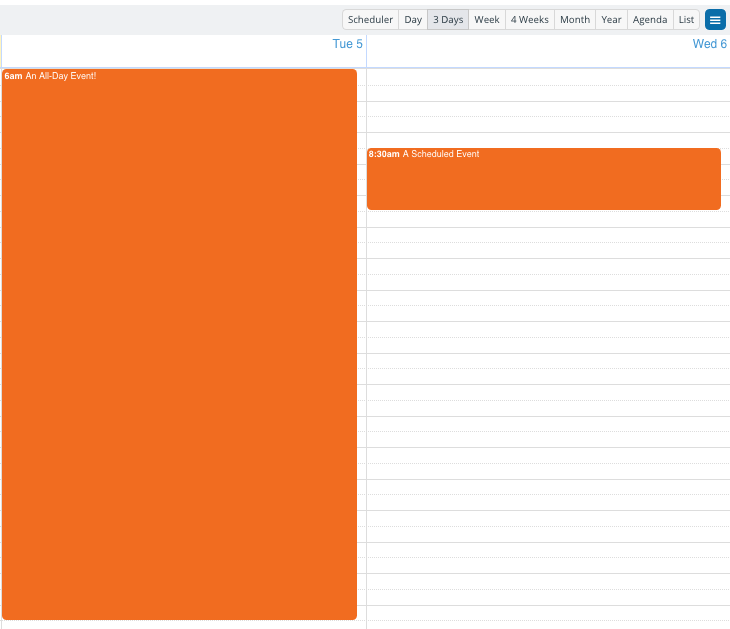 Sometimes, however, you want to be able to view your all-day event(s) next to your scheduled events. There’s a quick way to make this happen. Move the event to the hour grid, then drag to extend. Your all-day event will now show in the hour grid for the entire day. Schedule an all-day event from 12:00am to 11:59pm. 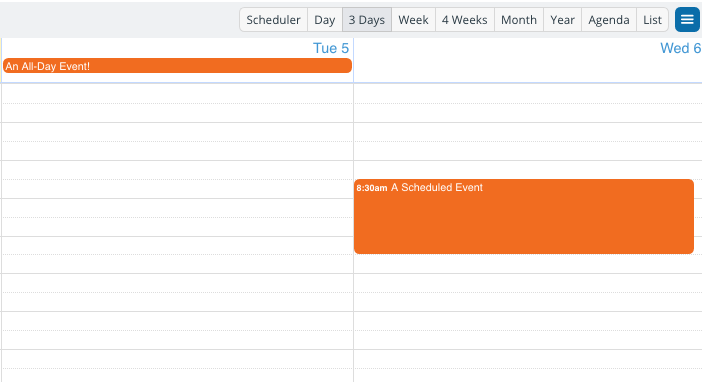 Can you use this quick tip in your scheduling? See our Tips collection for more quick ways to use Teamup.